Internal medicine physicians apply scientific knowledge and clinical expertise to the diagnosis, treatment, and compassionate care of adults across the spectrum from health to complex illness. Internists are equipped to deal with whatever problem a patient brings and may need to handle severe chronic illnesses and situations where several different illnesses may strike at the same time. Internal Medicine EMR Software and medical billing solution offered by RevenueXL is designed to meet the specific needs of internal medicine physicians and exceptional challenges faced by internists. It comes with pre-built templates for a large number of common complaints and procedures. Why Implement RevenueXL's Internal Medicine EMR? Scalability - RevenueXL's Internal Medicine EHR software is scalable to provide solutions to solo internists, small and mid-sized Internal Medicine practices with multiple locations. Enhance Workflow – Intuitive electronic medical record software makes it simple and easy to increase your patient volume without being slowed by administrative tasks. Enhanced Security – PrognoCIS Internal Medicine leverages Amazon's cloud infrastructure that has been architected to be one of the most flexible and secure cloud computing environments utilizing state-of-the art electronic surveillance and multi-factor access control systems. Seamless Communication – Communicate seamlessly with other medical facilities. Whether you need to share data with a laboratory, another physician or a pharmacy, PrognoCIS EMR makes it possible. We support multiple interfaces for the purpose of improved inter-office communication, collaboration, and overall patient care. Certified Solutions – Our EMR software is both ONC-ATCB and CCHIT certified. This signifies that we have proven our commitment to complying with all standards and best practices as required by the U.S. Department of Health and Human Services. Improve Patient Care – Internists have all of the necessary patient data and notes at their fingertips. Automatic personalized notifications and patient profiles also make it easier for Internal Medicine Physicians to build lasting positive relationships with patients and their families. Advanced Alerts & Notifications - Alert staff about patient health info, and decrease your liability. Keep staff aware of patient health maintenance, allergies, drug-drug interactions and more with frequent, timely updates, EMR notifications and alerts. Clinical Process Automation – Save time and promptly see more patients thanks to automatic billing and clinical processes. Fast Lab Ordering – Electronically send lab orders using our complimentary lab interface, which utilizes Quest and LabCorp. Free Meaningful Use Package – Receive our Meaningful Use Package at no additional cost, which includes many features such as the Patient Portal, Lab Connectivity, and the eRx. Our Internal Medicine Meaningful Use Compliance Dashboard helps Internal Medicine physicians ensure that they are meeting all requirements for incentive reimbursements. Large number of ready-to-use complaints that are relevant to Internal Medicine and associated with relevant SNOMED, ICD 9 and ICD 10 codes. Complaints such as: Amenorrhea, Anemia, Anxiety, Asthma, Bronchitis, Cough, Dementia, Depression, Diabetes, Dizziness, Eczema, Fatigue, Fever, Hypertension, Hyperthyroidism, Obesity, Pneumonia, etc. form a small part of an exhaustive list. Admin Templates such as Albuterol, Atrovent, Benadryl, Betamethasone, Bicillin, Ceftriaxone, Decadron, Depo-Provera, DuoNeb, Epinephrine, Hydroxyzine, Ibuprofen, Insulin, etc. Anatomical Diagrams including Male & Female: Front, Side, Right & Left Lateral Views; Left & Right Ankle, Ear, & Eye; Neck; Elbow, Forearm, Hand, Knee, Leg, Shoulder & Thigh Front & Back; Abdomen; Foot Dorsal & Plantar. Health Screenings including Abdominal Aortic Aneurysm, Asthma, Breast Cancer, Chlamydia, Depression, Diabetes Hypertension, Osteoporosis, Prostate Cancer, STD, etc. Wellness Exam Templates from Newborn to 21 years of age. Patient Brochures including Acne, Allergic Conjunctivitis, Allergy, Baby’s First Shots, Bell’s Palsy, Chickenpox Vaccine, Conjunctivitis, DTaP Vaccine, Eczema, Goiter, Hashimoto Disease, etc. Internists will find Custom SOAP Note Templates, many specific templates, information to evaluate quality and cost of care and many other critical features in our feature rich Electronic Medical Record Software. Referral Letter Templates customized for the Internists. ..and many more Internal Medicine EHR templates. Providers have the option to use the physician-developed and tested templates out of the box, or easily modify them to suit specific needs. Designed to address the unique concerns of Internal Medicine subspecialities including Adolescent and geriatric medicine, Sleep and sports medicine, Telemedicine, Osteopathic medicine, etc., RevenueXL's PrognoCIS Internal Medicine System addresses HPI complaints Amenorrhea, Anemia, Anxiety, Asthma, Bronchitis, Cough, Dementia, Depression, Diabetes, Dizziness, Eczema, Fatigue, Fever, Hypertension, Hyperthyroidism, Obesity, Pneumonia, etc. Internal Medicine EMR Program That is Dependable, Innovative, and Easy-to-Use. Offering a range of integrated practice solutions, our EMR Software allows for greater automation in today's fast-paced healthcare environment. And because PrognoCIS EHR employs an intuitive and user-friendly interface, the formerly tiresome task of managing patient records will no longer slow you down throughout the day. PrognoCIS EHR allows you and your staff to rapidly document patient charts through a variety of data entry methods that range from "point and click" mouse work to voice and handwriting recognition. In order to best fulfill the diverse needs of Internal Medicine practices, RevenueXL offers Internal Medicine EHR Solution that is fully customized to meet your specific needs. Our comprehensive EMR implementation services will ensure that not only various templates are customized in accordance with the requirements of your Internal Medicine practice, we will also customize the EMR to match the workflow in your clinic. To educate physicians and staff members about your new EHR system, we will assign each practice its own Implementation Specialist to guide users through the installation, implementation, and training processes. We also support an online Resource Center and provide unlimited technical support via phone, email, and online chat. 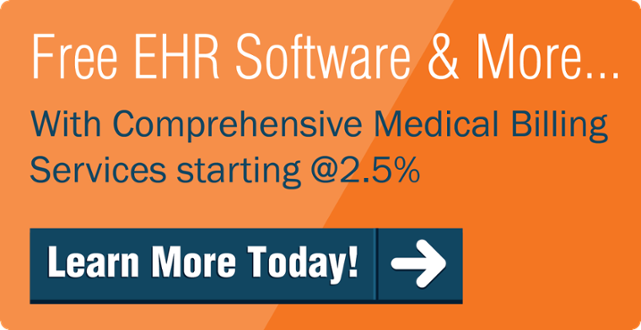 While integration between EMR and Practice Management is highly recommended, you can choose to implement our Internal Medicine EMR alone and interface it with your existing medical billing software. If you would like to work with Clearing House of your choice, please let us know during the live demo, otherwise our EMR Software for Internists comes with several free as well as reasonably priced Clearing Houses which are pre-configured.